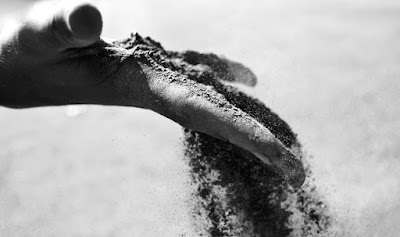 Typically the words of Genesis 3:19, "Remember that you are dust, and to dust shall you return," are repeated to each who participates as a reminder of both mortality and guilt. This begins a season of fasting known as lent. Lent is 46 days long, though the six Sundays are considered feast days as they are when the community gathers to celebrate the Lord's Supper. The remaining 40 days are usually spent fasting as an allusion to the 40 days Jesus spent fasting in the desert, where he was tempted by the devil. "Jesus was led by the Spirit into the wilderness to be tempted by the devil. After fasting forty days and forty nights, he was hungry. The tempter came to him..."
Our community constantly faces reminders of our own guilt as well as our general fragility and mortality. For many who have no safe place to be at night death always feel like it might be just around the corner. Much of our work is a calling to mourn with those who mourn, and so today, as the calendar points all of the church to remember, I can't help but smile. When Jesus returned from his time in the wilderness he entered a synagogue and opened a scroll of the prophet Isaiah. He opened to and read aloud Isaiah 61 as an announcement of his own work and ministry to fulfill it. May we, who are well acquainted with suffering and grieving and guilt and death and despair, make our city whole again. May resurrection be more than 'believed in,' may it be practiced here at the Well. May we too, like Jesus, give ourselves fully to this task. These fixings are biodegradable and don't defile the earth.angelina jolie skin care A few organizations even make utilization of ecologically inviting bundling for the beauty items.